Q&A #8: domain names, images sizes, SEO and keyword research tools	The 4 types of thumbnail grids: what’s the best way to display thumbs on your photography website? I’m happy to announce the relaunch of foregroundweb.com. 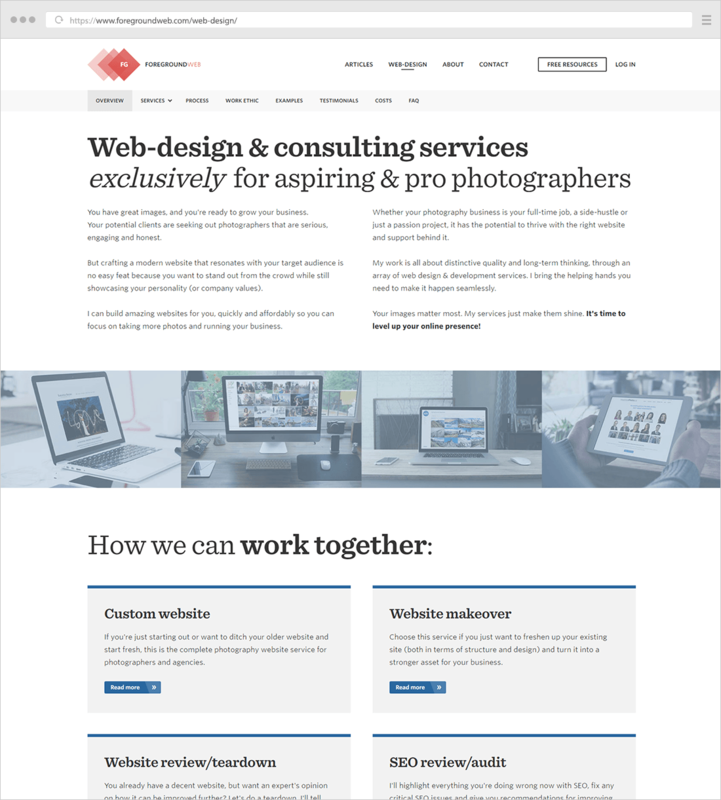 The site comes with many design improvements and, most importantly, with many more articles and resources – all about photography websites. 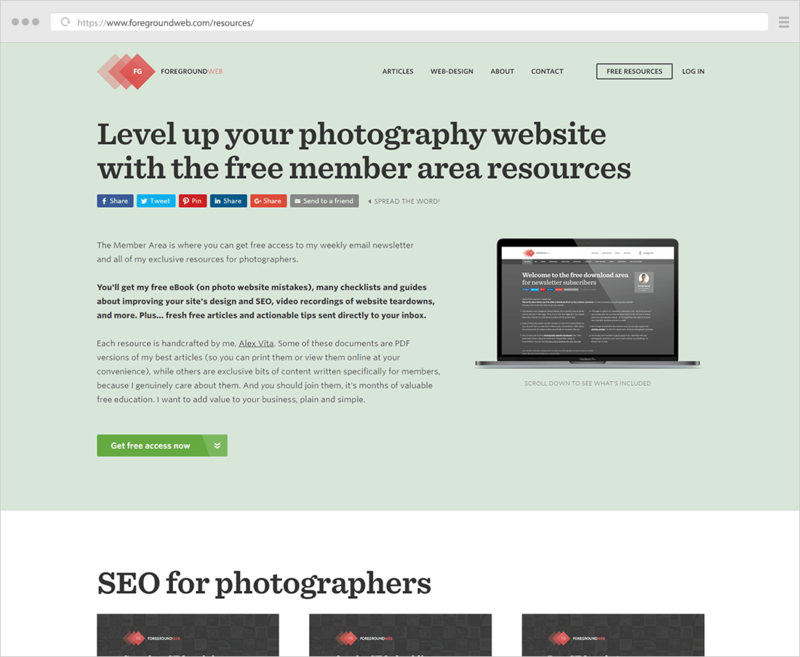 ForegroundWeb now has a free download area containing all of my PDF guides & resources that will help you build an amazing photography website. You can subscribe on the “Free Resources” page. 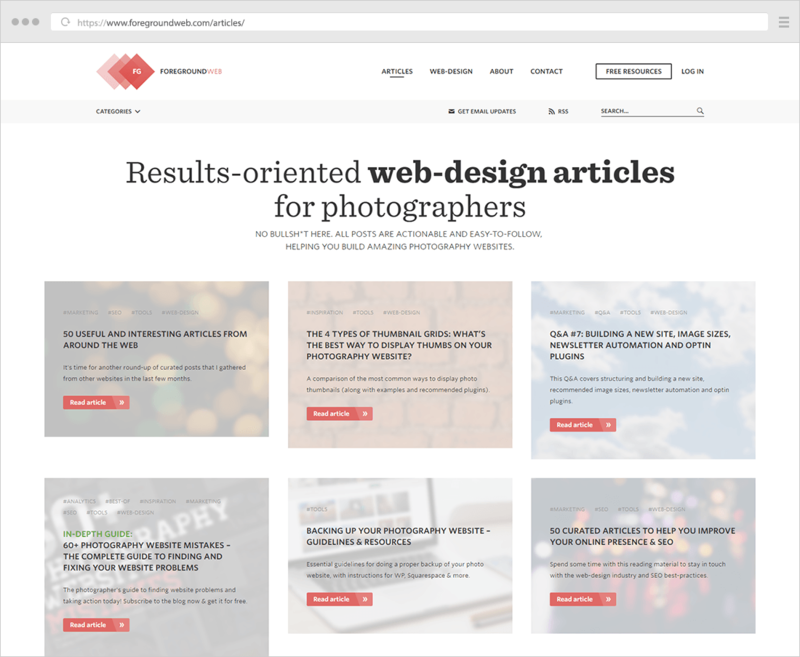 The improved “Articles” page (which used to be called “Blog”) now contains over 25 more articles – all about web-design for photographers. I’ll constantly be adding new articles and Q&As to the site, including my “famous” long-form guides. If you need help with your photo website, you’ve come to the right place. I’ve now detailed the full range of design, development and consulting services that I offer to photographers. You can get a closer look at all the ways in which I can help you out (anything from full site redesigns to SEO reviews and small site tweaks), as well as learn about my web-design process and work ethic, costs, and examples of my past work. I want to provide a complete set of high-quality web-design services – exclusively for photographers, to help you level up your online presence. 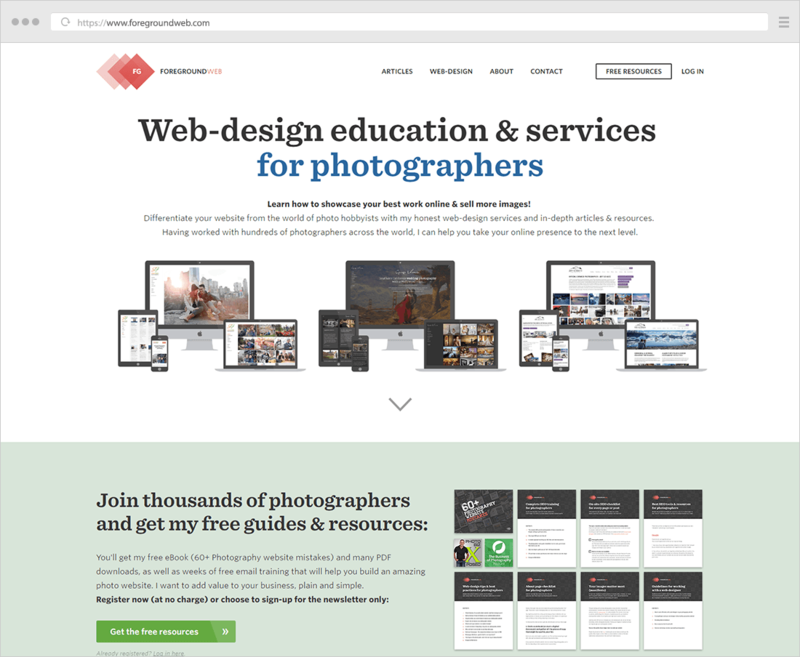 ForegroundWeb is also the best place online to learn how to improve your photography website yourself! Next article:The 4 types of thumbnail grids: what’s the best way to display thumbs on your photography website?